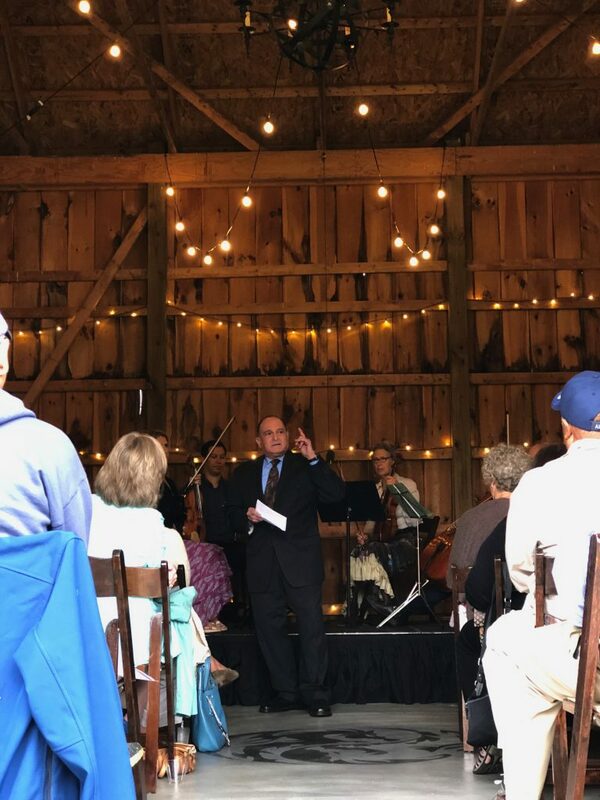 September 17, 2018 — Earlier this month, the Rhode Island Council for the Humanities hosted a joint event with Rhode Island Public Radio at a beautiful barn in Tiverton, Rhode Island. 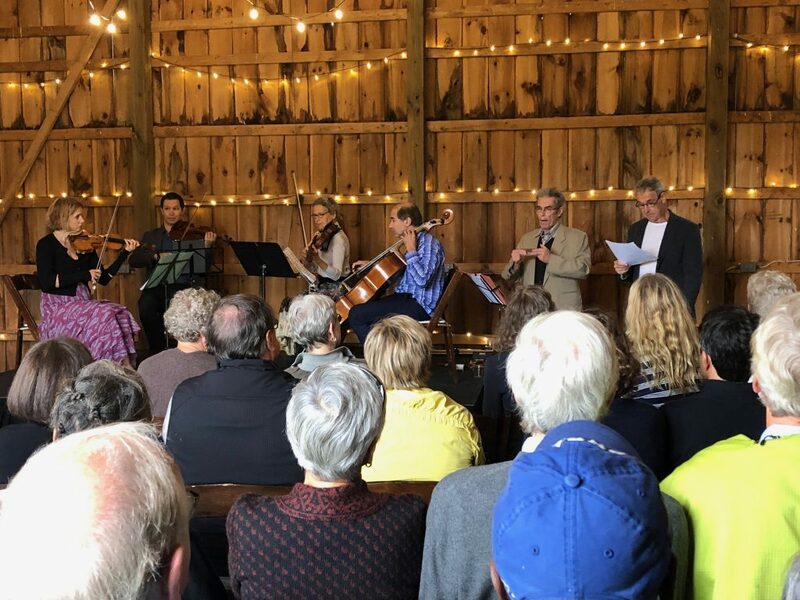 The Aurea Ensemble, led by Consuelo Sherba, the 2015 Tom Robert’s Prize winner for Creative Achievement in the Humanities, gave a stunning and affecting performance of their piece “New and Dangerous Opinions of Roger Williams!” for the audience of 70-80 friends who gathered at the barn on this blustery fall day. Welcoming remarks from Elizabeth Francis provided an apt frame for guests to consider the need for tolerance and civility, the relevance of Roger William’s words to the challenges we face today, and the ways that the Humanities Council, through grants, programs, and partnerships builds bridges across and between communities that enhance the economic and cultural vitality of our state. Read on for Elizabeth’s remarks and please consider joining us at the Celebration of the Humanities, Thursday, October 4th as we honor those leaders who build bridges each day through their work. Rhode Island has attracted some positive attention recently. For a change. A recent Washington Post essay by J. M. Opal cited Rhode Island as a place where, unlike many areas of the country, the immigration wars had not taken hold. The author suggests that is because of the state’s distinctive history of tolerating new groups of people coming here. Teresa Bejan also has discussed her recent book about civility in many interviews reaching national audiences. A political theorist, Bejan put a spotlight on Roger Williams’ belief—put into practice for the first time in 17th-century Rhode Island—that we don’t need to agree with each other to live together. Rather we can and should tolerate the existence of those we disagree with. This idea seems to lack any high-minded idealism; it’s not utopia. It is, rather, the basis for participatory democracy. The idea of toleration also deeply influenced the cultural and political formation of Rhode Island, and it continues to do so. Bejan’s book has attracted attention because it intervenes in the extreme partisan environment that we are in, nationally, today. Ideas about tolerance and civility are something to keep engaging with as we develop the state’s economy and quality of life. These examples are heartening because they show so clearly what seems to get lost too often. Philosophies matter. History matters. Interpretation, evidence, and arguments matter. Creativity matters. That’s what the humanities do–they actively create a bridge between past and present, different points of view, different experiences and backgrounds. The role of the Humanities Council is to make it possible for everyone to build that bridge. 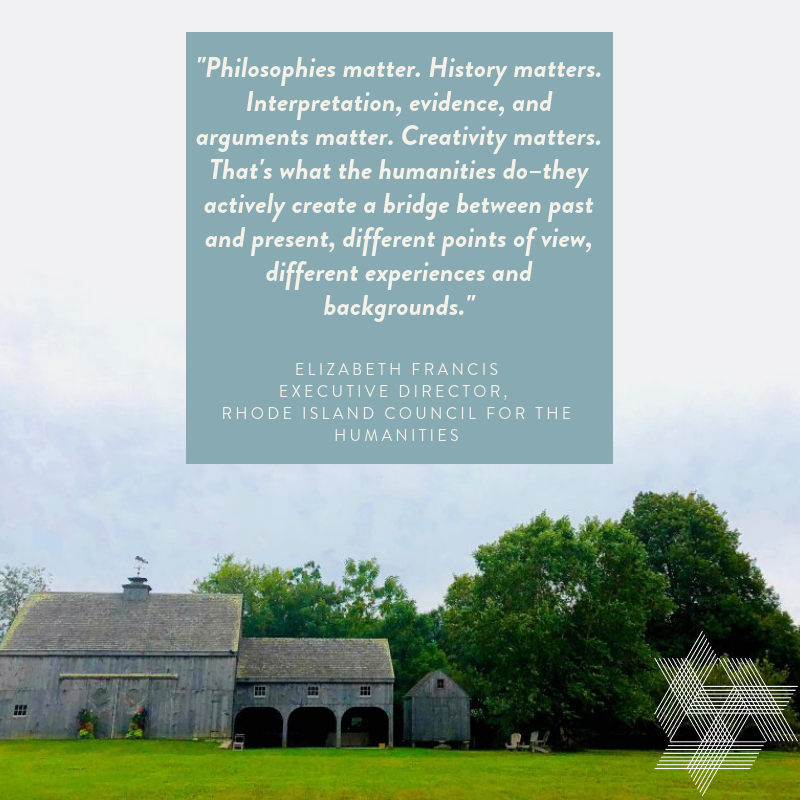 What we do—our staff and board—is to support people and organizations to activate history, heritage, ideas, and culture and to ensure that all Rhode Islanders have access to them. We do this through support for programs like the Manton Avenue Project’s civically engaged playwriting with children in Providence’s Olneyville neighborhood. Or the Little Compton Historical Society’s interpretation of the area’s dozens of cemeteries. And the Tomaquag Museum’s development of digital stories and interpretation of artifacts from a Narragansett point of view. 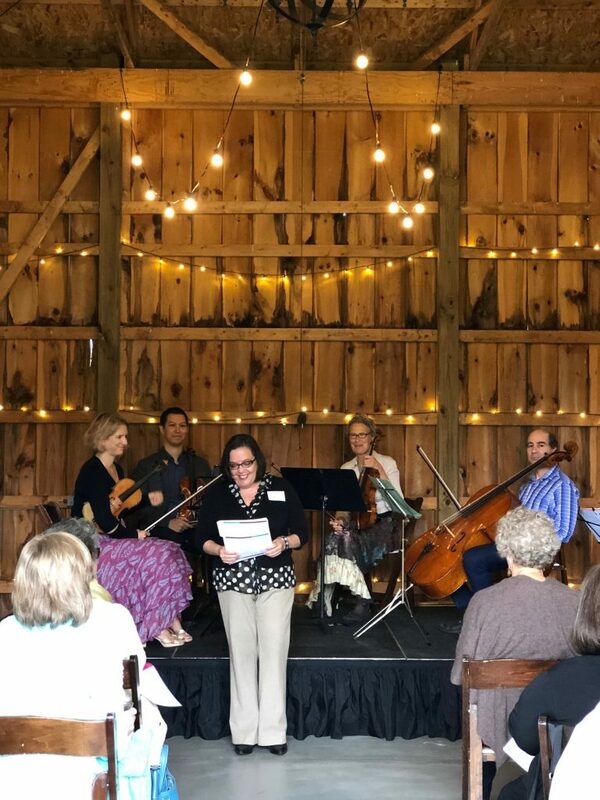 We activate the humanities by supporting the diverse communities of the state to preserve and to communicate their experiences and their traditions. These programs and projects are fundamental to the ideas of tolerance of religious differences and diversity not just in the past but their activation today to take on current challenges. I encourage you to attend this year’s Celebration of the Humanities on October 4th where we will honor four people and organizations who are putting the humanities into action: Rabbi Wayne Franklin’s convening of leaders of different faiths; Francis Parra’s creation of the state’s only Spanish-language theater; Taylor Polites’ encouragement of active, creative historical interpretation and writing by young people; and the recovery of African-American history by Stages of Freedom, which was also recently recognized by the New York Times. More good news! The Humanities Council’s priority is to strengthen the state’s civic fabric through education and cultural participation. We appreciate and need your support so very much because it helps us to expand and deepen our impact. It shows how much the humanities matter to our lives and communities. We are putting a spotlight on challenges for democracy right now by partnering with the amazing team at Rhode Island Public Radio on a podcast series and use of new technology. 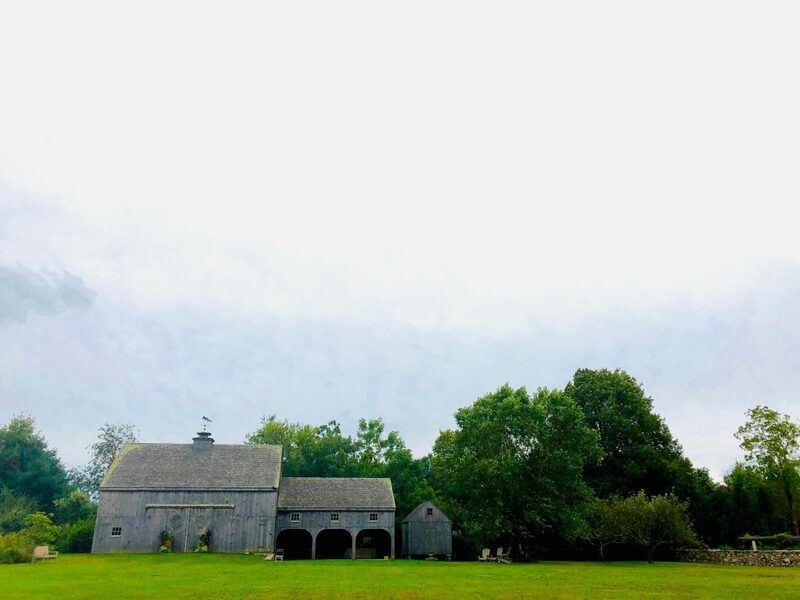 The initiative, funded by the Mellon Foundation, takes on issues of tolerance and intolerance in our consumption of media, how journalists navigate partisan waters, and how reporters connect with everyday people about issues that they care about.